Apart from its top quality USB input, Swing also features a Toslink input, a coaxial input and a USB-C connector. From traditional CD transports to smartphones to gaming consoles such as the Xbox and the PlayStation, from music listening to gaming, this DAC goes with a swing! 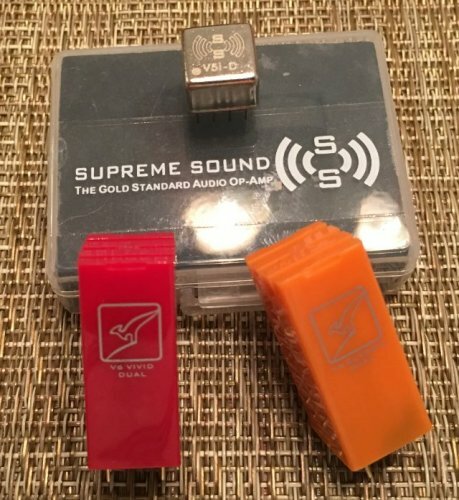 Opamp rolling is a major part of the audiophile hobby. There are countless online discussions dedicated to it. It offers the opportunity to compare and appreciate different sonic performance in your own comfort zone and it is a valuable opportunity to develop listening preference and taste. 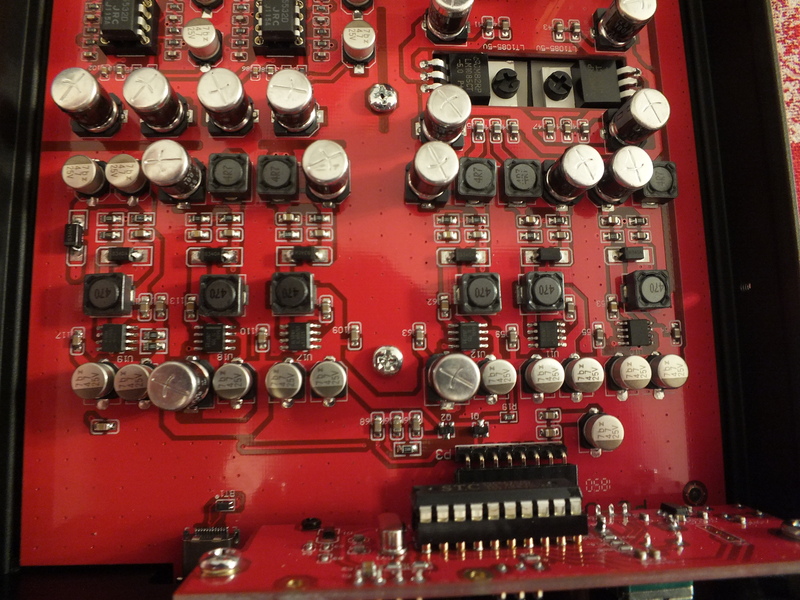 Facilitating opamp rolling in all stages on the signal path, you can swing it your way. Our power supply revolution is in full swing! 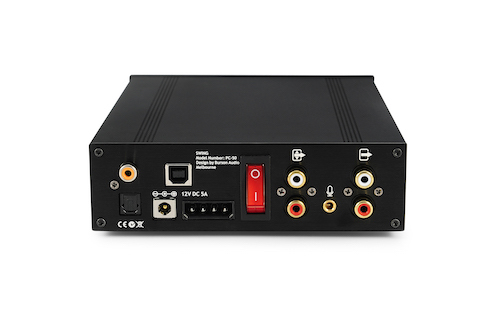 The Burson Max Current Power Supply is the thumping heart of the this DAC. Debuted in the Burson Play, our proprietary MCPS overcomes the deficiencies of both traditional transformer-based linear power supplies and conventional switching power supplies. It redefines the size and performance ratio and it is the reason why Head-Fiers fell in love with the Play instantly. With Swing, we have a further enhanced MCPS. It delivers even cleaner power. Tuned to Class-A, music shines from a pitch-black background. 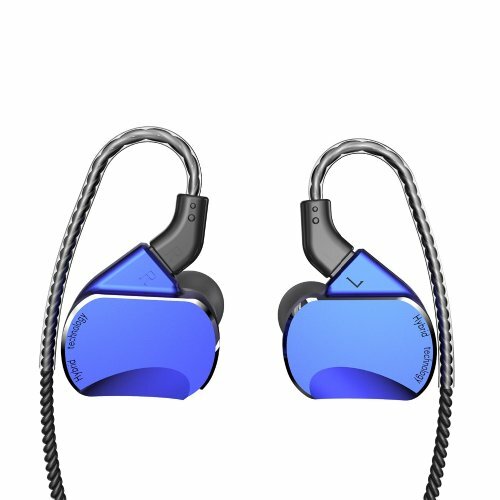 Pros - Great build quality, great sound, exposes filters and chip level options of 9038, very flexible. Cons - display somewhat small for aging eyes, looks more industrial than high end. 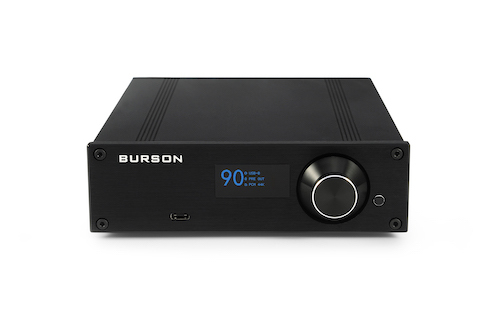 I’ve reviewed quite a few Burson Audio products and can honestly say I haven’t used one yet that I didn’t think was an excellent value. Sure, Burson has had a few hiccups but they have historically had excellent customer service and have been fast to send replacement parts when a problem is discovered. I currently own the Play, Bang, and Fun along with sets of both v6 vivid and v6 classic Op-amps and a couple v5i in a couple of my portable devices. I’m a fan, I’ll admit that up front, but I am not willing to give anyone a free pass, fan or not. 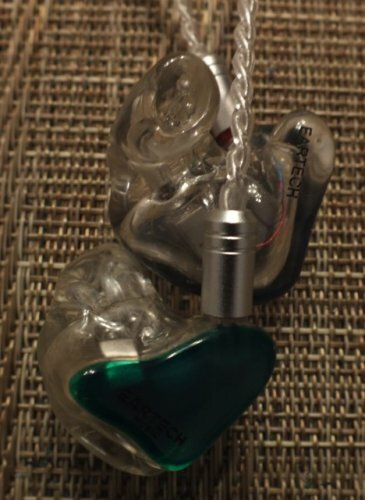 So when Carlos emailed me and asked if I was interested in the Swing, Burson’s DAC/Pre-amp designed to mate with the Bang and Fun, i was quick to say yes. One interesting fact about the whole line that started with the Play, is the ability to run them from a PC power supply and to fit them into a 5.25 inch drive bay. For an all-in-one unit like the Play, this makes a lot of sense. For other devices in the line, maybe not so much. For example, the Bang is never likely to be mounted inside a PC case as you’d have to run speaker wires in to the back of the Bang through the pc case for this arrangement to work. The Fun is sort of the middle ground as it can be used internal to a PC case for those that already have a high end sound card, but does require some re-routing of the output of the soundcard to the input on the Fun. I have been using the Fun on my desk quite regularly as it does a great job of powering the big Hifiman planars. At times I have used the Play to feed it, but most of the time I have preferred to feed it using either the Khadas Toneboard (an insanely good DAC for $99 if a bit lacking in case, controls, etc). I also have been using the Bang to power a set of bedroom speakers fed from an iFi iOne DAC. The introduction of the Swing gives me a couple new options. I can use it as a DAC and feed the Fun with it, or use it as a DAC/Pre-amp and feed the bang with it. I’ll look at some of both in this review. Burson ships all of these siblings in a black press-board box with the details of what is inside on the top. Inside the box the main unit is protected by closed cell foam in the center of the box with a small accessory box on either side containing connectors, power supplies, and an Allen wrench for opening the case should you want to change op-amps. While not the heartiest box on the market, it does a good job of protecting the device for shipment and should last well unless used repeatedly. The Swing ships with a set of RCA cables, a USB cable, a motherboard connection cable, an RCA to RCA adapter for use inside a PC Case, an Allen wrench for opening the case, and a 3.5mm to 6.35mm adapter. (not real sure why on the adaptor as it does not have a 6.35mm port, but it may just be part of the standard kit for all desktop models. Both of the cables are good quality and are markedly bettter than the average big-box store USB or RCA cable. RCA cables are roughly two (2) feet s in length while the USB cable is five feet long. The USB cable is a type-A to type-B (2.0) style so if you wish to use the USB-c connector on the front of the unit, you will need to provide your own cable. All these siblings share very similar black anodized aluminum cases which fit in a 5 ¼ drive bay in a PC if desired. All have a Molex connector for powering from a PC power supply in addition to a connector for an external power supply (provided with the unit). The case is held together with 4 screws that connect each faceplate to the top and bottom shell. Shells have a groove and ridge arrangement along the edges that insure proper orientation and prevent slippage. Each sibling has different face-plates depending on the controls and jacks present. The Swing has a digital display, a USB-C port, a volume control, and a function button (left to right). The rear face from left to right has Coax and Optical Inputs, 12V Barrel connector, USB input, 12V Molex PC peripheral connector, Power Switch, Pre-amp output RCAs (volume controlled), 3.5mm microphone input, and DAC output RCAs (set volume level) at the far right. Burson has spent a lot of time refining the Max Current Power Supply that is now shared by all the members of the desktop family. It might seem like a waste of time as AC to DC conversion is now literally 100+ year old process and pretty well documented. On the contrary, few of those age old designs were worried about audio quality or the noise levels produced by the conversion process. (Yes they worried about noise some, but a fan doesn’t require nearly the cleanup that a good audio circuit does). Burson started out by looking at the shortcomings of existing converters and then desived ways to eliminate them. First was move the AC/DC conversion outside the device. An external unit feeds the Swing 12v DC so no conversion hardware is needed inside the unit. A second DC to DC conversion is done inside the unit to further clean up the input power. This conversion is done at 170kHz instead of the 30-50kHz of more common switch mode power supplies so any noise produced is well above the range of human hearing. The standard 30-50kHz switch mode supplies do indeed operate in a range that can create audible noise. The other issue Burson wanted to address was the impedance typically seen in power conversion processes. With transformers often running 10-15Ω impedance and demand varying depending on what is playing, there are times when a transformer is the limiting factor and can have less current available than demanded. Burson’s answer was to eliminate the transformer entirely and create a new topology that allowed for much higher current draw. I’ve been interested in the development of the MCPS since getting ahold of the Play and especially the Bang. I’ll admit, I wasn’t sure about the Play although it did seem to deliver a lot for the price tag, but when I got the Bang, I was wowed. How that little box could pump out enough power to run the big Magnepans was just beyond me. The Swing uses that same MCPS technology (6 distinct converters) to drive the system. Moving on from the power side of things, Input is either by Coax, optical or USB (usb on rear and usb-c on front). Input selection is handled by the front panel and only a single input is active at any given time. (Front and rear USB inputs are distinct and must be selected as well). USB duties are handled by Xmos with support up to 32bit/768khz PCM and DSD512 although drivers may limit this. Some have found that Thesycon reference drivers provide higher levels of function than the current Burson provided driver. I found that Swing was recognized by the software I already had loaded for my Khadas Toneboard. Xmos has always been a bit fussy in this regard so some driver revisions may work better for some users than others. This remains a place where some additional work on Windows would be welcomed. The DAC itself if the ESS Sabre ES9038Q2M. This is the 2 channel mobile version of the ESS9038 series. I bring this up as other versions of the 9038 exist so if you are comparing DACs, be sure you are comparing the correct version. The Flagship 9038pro are 8 channel chips while the mobile are 2 channel and the K2M version adds an integrated output stage for 2vrms output. Another thing we sometimes see is the summation of channels to create a cleaner output (Apogee Groove – 8 channel Chip with 4 channels used per output) or multiple chips used in Mono mode (Topping Dx7) in order to improve performance. I say this as comparing two devices that say 9038 is a bit like comparing two cars that both say Mercedes. All are pretty good, but some are definitely better than others and cost usually helps tell you which is which. Once converted to analog, the signal has 2 options. The first is a straight line level output and the second is a volume controlled pre-amp output. The fixed level line out is perfect for pairing the Swing to the Fun where the amplifier already has a volume control and expects a fixed level input. On the flip side, the Pre-amp out works well with powered speakers or the Bang which lacks the ability to control volume. When setting up the Swing, one has to select which output type they want to use and only one is active at any given moment. Settings are managed from the front panel. To do so, first press the button the right of the volume knob. This will change the screen to settings. You can move up and down through the settings using the volume knob. The first 4 visible when you press the control button are Input, Output, Pre-amp Gain, and FIR-filter. For additional settings are available if you use the volume knob to roll down to them. Those settings are DPLL(DSD), DPLL(PCM), De-emphasis, and hardware Reset. To change a setting, scroll to it using the volume button so the arrow at the left is on the desired setting then press in on the volume knob. This will switch the mode to settings mode. Turning the volume knob left or right will expose the different options. (The options do not loop so if you don’t see the option you want, turn the knob in the opposite direction). Once you find the value you want, press the volume knob again to change the setting. Once finished changing settings, click the control button to return to the main screen. Setup on the Swing went quickly and I paired it with the Fun to start with as it seemed an obvious choice and if the Swing doesn’t play well with Burson’s own products, what is the likelihood it does better with a competitors? I used Sennheiser HD700 and Hifiman He560v2 headphones to do my listening as I am intimately familiar with them and know how to separate out what they contribute and what the DAC and amp bring to the mix. The first thing I noticed was a very lively and dynamic performance with good sense of space in all dimensions. The He560 is particularly source dependent so to get a good sized stage from it was a good sign. The next thing I noticed was the detail level. The Swing is competitive with several DACs well above its price range in micro-detail retrieval. 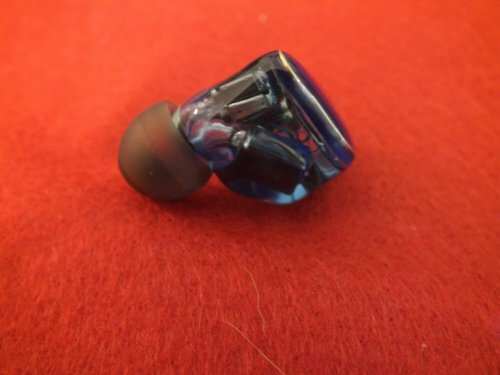 I went through my entire review tracks catalog with each set of headphones just to make sure I gave the Swing a fair evaluation and found it to be slightly more forgiving of poor material than I had expected considering the detail retrieval at the top end. Once completed, as I wrote my notes the main thought that struck me was that I had not been able to immediately determine that this was an ESS dac chip as is often the case. While the ESS series is renowned for its technical prowess and accuracy, it sometimes gets dinged for being less than musical and a bit sterile or clinical. The Swing does a good job of balancing the technical prowess with just a hint of warmth and an ever so slight push of the upper mids that remove the sterility without introducing a lot of coloration. The Swing also did a good job of sounding natural and real. I firmly believe that no recording will ever rival seeing the artist live and I urge everyone to patronize live performances every chance they get. When I listen to recorded music, I listen for how close to the real thing it is. The Swing does a good job of this as Van Morrison, Springsteen, and Vintage trouble live performances all evoked memories of the shows. Next up, time to try the volume controlled pre-amp side. But how to do so. I decided on two ways. 1.) I paired the Swing with the Bang and a set of KEF Q350 monitors to see how it would behave as a true pre-amp. 2.) I paired it to the Schiit Valhalla 2 that has basically been permanently paired with my 600Ω Beyer 990s. Paired with the Bang and the Venue’s, the Swing did a good job of handling volume control as well as feeding the Bang. I did notice a very mild channel imbalance when below about 5% of total volume. This disappeared above that level and is not at all uncommon, but does bear mentioning. The Q350s are not capable of the detail level of the HD700s but do have a great tone and can really fill a room when driven well. The Swing and Bang had no problem getting the most out of them and volume control was precise enough to have good control. I tested with my calibrated mic and was able to increase or decrease volume in roughly 1.25 dB increments. (Understand this was about as unscientific a test as possible. I ran pink noise with the mic 5 inches in front of the Q350 and adjusted the volume pot while watching the output level in REW). The Swing also paired well with the Valhalla 2 and provided a good balance between the sometimes fluid sound of tubes with that bit of extra detail and a slight clinical leaning of the Swing. I sometimes find a warm leaning amp and DAC combined with the 990s to be a bit too dark for my liking. The Swing kept the balance more centered and kept that warmth at a pleasurable level rather than becoming overbearing. I’ve been impressed with Burson a time or two before, but always for their prowess in the Op-amp and Amplifier world. So here we have a product with none of that. The Op-amps in my review sample are stock NE5532 and 5534s so no fancy V6vivids. The Swing offers only a pre-amp section and even it is not on display full time. So for the swing to succeed, Burson had to prove their prowess in the DAC world. They started out smart by selecting a lot of premier components. They progressed by improving their existing design from the Play (new boost converters, smaller power regulators to reduce noise, and an overall redesign of the board to move noise inducing components as far from the audio chain as possible). What they managed to create is a DAC worthy of being paired with the Fun or Bang and one that ought to be given serious consideration if you are in market for a new DAC. It easily holds its own against my bifrost MB and Audio-GD R2R-2 as well as a couple of friends Audio-GD D77 and NAD M-51. It offers the user performance on a level that exceeds its price and exposes many of the 9038s filters and options to customize your sound. If there is fault to be found, it looks more industrial than high-end with its matte black shell, and the display could be a bit larger for aging eyes like mine. 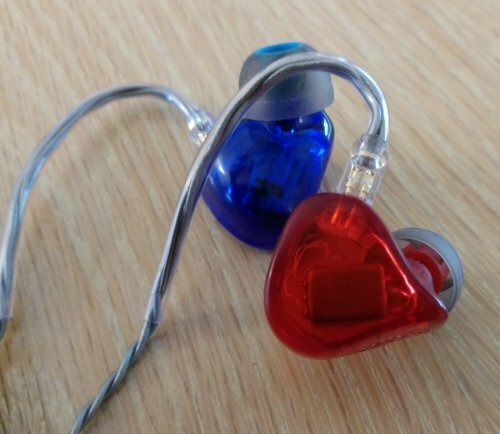 Overall these are nitpicks as the sonic qualities more than overcome any faults I found. klyphi, zilch0md, Mij-Van and 1 other person like this.